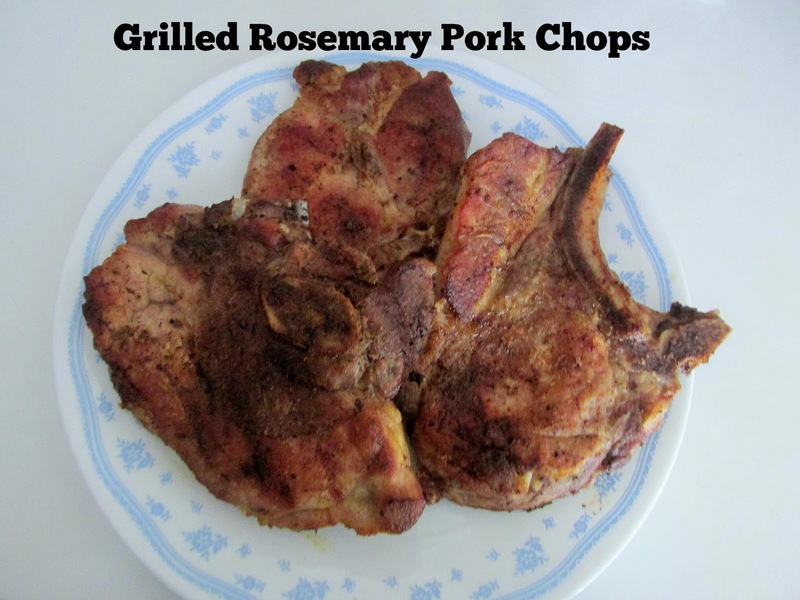 Grilling season is here and that brings out one of our favorite recipes for the grill, Grilled Rosemary Pork Chops. The flavor just can't be beat. You will think twice about just having hot dogs and hamburger. Although we grilled those too! After many years of marriage I think we have become a great grilling couple at long last. He said he would grill on Sunday as I did the sides. I quickly handed him everything and he sat by the grill basking in the sunshine. Frankly, I think he has been watching some grilling shows on the sly. because everything was so nicely browned and had those wonderful grill marks on it. Now I know how good he is, this will be his job. FOREVER! Combine all dry ingredients in a small bowl then add oil. Rub mixture on both sides of each pork chop. Keep the pork chops in a plastic bag in the refrigerator for at least 30 minutes to marinate. Grill 6-7 minutes on each side or until done.